Cultural tourism programmes are beneficial to everyone – the tourists get a unique, unforgettable experience, the local people generate income and improve their standard of living, and both parties gain a valuable understanding of another culture which will last long after the visitors return home. Most cultural tourism programmes are located near the main thoroughfares of the principal tourist destinations, making a cultural addition to a safari easy to arrange. Guides are local people born and raised in the area, well trained in their job and proficient in English. Cultural tours can be half-day events or incorporated into a longer safari. Whether you spend the morning in a Maasai boma or trek by camel up a local summit, stopping to learn about traditional plants and tribal stories, a cultural tour is a must do for anyone wanting to see the rich life Tanzania people. A Maasai vilage located among the small villages that surround Mount Meru . During a tour of this village you will be able to visit a traditional Maasai Boma to gain an understanding of how an extend family lives together. While visiting the village you will have stunning views of the Ngarenaro valley, Leleto hill and Mount Meru, Following a visit to the Maasai Boma you will walk through a small farm to ilkisongo where you will enjoy views overlooking Arusha town on your way to meet a traditional healer. At the traditional healers house you will learn how the healers practiced their art and be able to ask any questions you have. Afterwards, you will visit a group of craftsmen who make traditional small wooden stools ,jewelers and clothing. Located 20 km west of Arusha city along Nairobi road. Here you will have a 3 hour trekking experience to the top of Ngorora Hill where yuo will be able to experience breathtaking views of the surroundings.Following the trek prepared a simple lunch for you to enjoy while taking in your surrounding.Upon your return you will visit traditional Maasai Boma where you will interact with the resident Maasai people and experience the general daily life of the Maasai people.You will also observe and take part in a Maasai dance and visit a Maasai market where you can observe and purchase various Maasai colourful bead work. Longido town is situated 100 km north of Arusha on the way to Namanga and Nairobi.The town of Longido lies on the main road at the foot of Longido Mountain.Here you can observe the cattle market where cattle are herded every Wednesday to be sold.In Longido it is possible to have a unique experience to riding a Came with the Maasai.Bird watching treks can be arranging in Longido. There large numbers of colorful bird species in the area including the starling major, red and yellow bar bet, masked weaver, silverbill and the secretary bird. Trekking safari can also be arranged in Longido as it is a home to several mammals such as the Gerenuk, lesser kudu and klipspringer that are not typically found in the national parks. Giraffe, zebras, gazelles, buffaloes, mangoose and silver backed jackals are also found in the area. The village of Oldonyo Sapuk is located 7 km from Arusha town at 2,000 m above sea level in the foothills of Mount Meru.The tours takes you through local villages that grows crops such as coffee, banana, maize and vegetables The villages is the home of the Waarusha people who are related to the Maasai. Along the way you will have stunning views of the surrounding landscape and the Hollytree view of the city of Arusha.The reward for trekking the steep slopes is an amazing Waterfall in the Reserve Forests of Mount Meru. You can visit the primary school in the village and visit a Boma (house)to learn about the Waarusha culture and traditions.The more you spend time in the tour the most you enjoy tour and learn more. Situated 63 km north of Mto wa Mbu, on the road to Oldonyo Lengai and Lake Natron is one of Tanzania’s most important historic sites. Some 500 years ago, a farming community of several thousand people developed an ingenious irrigation and cultivation system that used a stone block canal to channels water from the Crater highlands rift escarpment to stoned lined cultivation terrace where they grew crops.The terrace were managed in in a way meant to prevent soil erosion and improve the soil fertility using manure from stall fed cattle.For unknown reasons, the farmers left Engaruka around 1700. Many questions remain unanswered who were the people living in Engaruka, how did they come to develop such an ingenious, farming system and who did they finally leave Engaruka. There are people who live in the forest near Lake Eyasi called “Bushmen” They still lead the traditional hunter/gatherer way of life just as the ancien man did.The depending on gathering fruits, hunting animals and live in caves or forest. Many do not waer clothes The tour of this area will enable you to see them in their daily activities and learn about their lives and culture first hand while experiencing the wildlife and nature all around you. The tour takes two/three nights there are five campsite where Accommodations can be arranged. Mto Wa Mbu is located in the East Africa Rift Valley 120km from Arusha town and has approximately 18,00 in habitats.The village is situated at the confluence of three rivers , the Kirurumu River, Mohamoud river and Magadini river.The word Mto Wa Mbu means “Mosquito River”.Mto Wa Mbu on the border of lake Manyara National Park and is on the route to Ngorongoro Conservation Area and Serengeti National Park.It is the only point Africa where 4 languages meet ;the Nilotes, Cushtes, Bantu and Hamites all providing a unique cultural feature rarely found in the world. Mto wa mbu primary produces banana with many as thirty species of banana.In the village you will be able to visit a Maasai boma experience traditional tribe dancing, purchase crafts at the market,visit schools and community projects and sample traditional foods.In the village you can visit with the maasai and have a true culture experience that will be memorable for your entire life.Hike the rift valley wall and view Lake Manyara and experience the wildlife and natural surroundings that are a part of daily life here. This cluster of village is located roughly 50kms to the northwest of Arusha. Here you will find picturesque scenery, medicine and jewelry tours with Maasai and have the opportunity to share a traditional meal of roast meat known as “nyama choma”.From Monduli juu it is possible to see panoramic views of Oldonyo Lengai the Rift Valley and Lake Natron. This cluster of village provides an in-depth experience into the maasai and Waarusha culture.Activities available here include walking and trekking tours of the Monduli Mountains evergreen rain forest tour , Kona saba Escarpment Climb Esserian Maasai Camp, Sominen dam site and much more. These villages are found in the area of Mt Kilimanjaro and both have natural and cultural tours to offer visitors.There are more than seven waterfalls in the area , unique flora as well as tree, flowers and fruit nurseries.Visitors can trek on the slope of Mount Kilimanjaro and ascend to beautiful viewpoints.Here you can visit the home, memorial and even read the original lob books of the late Yohana Lauwo a marangu native who accompanied Dr. Hans Meyer on the first recorded climb of Mount Kilimanjaro in 1889. You can also visit the African Art Center which houses a collection of ancient and modern sculpture , caving and paintings.Visitors can also learn about the Chaga culture by visiting a traditional Chagga house and historical sites of clan wars where the chaga used large caves to hide themselves during battles with the Maasai. You can also visit the Chief Mangi area where the first court and primary school of the Northern region are still functioning. It is located 62 km South East of Moshi in the shadow of Mount Kilimanjaro. The Plains Pare Tours – Half and full days: visit the local economic and cultural projects including carpentry workshop, brick factory, sisal plantation, local beer, brewery, Lembeni Herbal Hospital, forest hiking in Kindoroko Mountains, a Spice garden tour, fishing and boating on Nyumba ya Mungu(house of God) lake. and cultural projects including carpentry workshop, brick factory, sisal plantation, local – beer brewery; Lembeni Herbal Hospital; forest hiking in Kindoroko Mts. Spice – garden tour; fishing and boating on Nyumba ya Mungu (House of God) Lake. 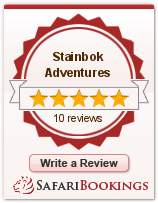 When you book with Stainbok Adventures, your vacation begins from the moment you contact us.